Alzheimer’s care can range from a few years to more than 20 years, consuming up to 100 hours each week. Without a doubt, this leaves the caregiver both physically and emotionally drained. Being adequately prepared for the challenges of caring for an Alzheimer’s patient and utilizing a dependable home care system or homecare software (such as one offered by ClearCare) will alleviate much of the stress of caregiving. Several symptoms point to Alzheimer’s disease, including forgetfulness and anxiety. For a more thorough list, look at sources such as the Mayo Clinic and WebMD – and more importantly, consult your doctor. In this article, we focus on the five symptoms that exacerbate caregivers, testing their patience and resiliency. Maintaining good emotional and physical health during this journey is critical. Caregivers also need a stable support system in order not to become overwhelmed with the intensity of the emotions that come from dealing with an Alzheimer’s patient. A homecare software or homecare system will help to track tasks and activities, which are critical for Alzheimer’s patients. Moreover, a robust homecare software or homecare system will make scheduling regular shifts easier for you and better for your Alzheimer’s patient: normalcy in routine is important in Alzheimer’s care. One of the most challenging Alzheimer’s symptoms is anger. The patient may have inappropriate outbursts, hallucinations, paranoia, intense anger, and violent behavior. It is important not to blame yourself for the patient’s behavior, or feel responsible for his actions. Don’t confront the patient or attempt to discuss the angry behavior; the patient cannot reflect on his unacceptable behavior and is helpless to control it. If distracting the patient doesn’t work, simply let the anger work itself out as you keep a watchful eye on his safety. Restlessness and a tendency to wander can be come of the most frightening Alzheimer’s symptoms. Often there are specific reasons why the patient wanders, so identifying the triggers that cause the behavior will help minimize how often it occurs. It’s also important to plan ahead for the instances when the senior wanders away. Notify neighbors and local police about the senior’s tendency to wander and give them your mobile phone number in case they see them out where they shouldn’t be. Confusion and loss of memory may cause the senior to be suspicious of those around him, so you will need patience as you gain his trust again and again. Often those with Alzheimer’s remember the past much better than the present, so learn to communicate with him on a level that’s easy for him to understand. Another Alzheimer’s symptom includes over-stimulation by loud or overactive environments. This may cause an Alzheimer’s patient to lash out with aggressive behavior, or make his paranoia worse. Keep the patient away from crowds, bright artificial lights, and hectic activities. This will also help prevent “sundowning” – the disorientation and confusion that begins at dusk. One devastating symptom or result of Alzheimer’s is that patients lose the ability to take care of themselves. Your patient will need constant reminders to brush her teeth, use the bathroom, eat regular meals, and bathe. This is where ClearCare’s homecare system helps: the easy-to-use homecare software reminds caregivers exactly what to do and when. 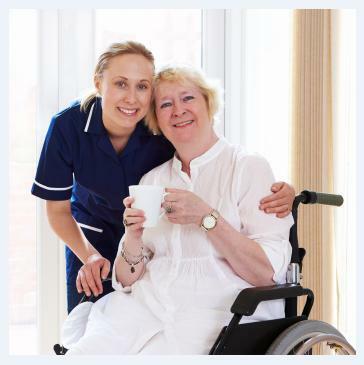 ClearCare homecare system knows the challenges you face as a caregiver. Our homecare software is designed with you in mind. Save time and valuable energy by taking advantage of the services ClearCare homecare system has to offer.